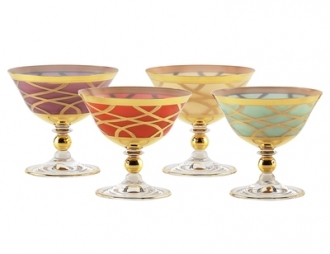 Glass Goblets - World Art Glass - Murano Glass Gifts Co. 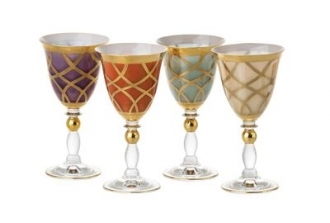 This line of High Class glass goblets is designed to enhance the flavor of any drinking experience by adding style and finesse to it. 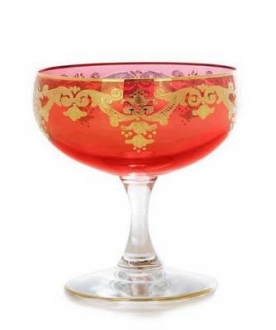 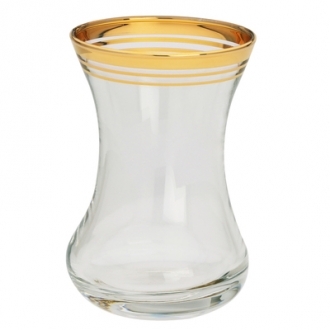 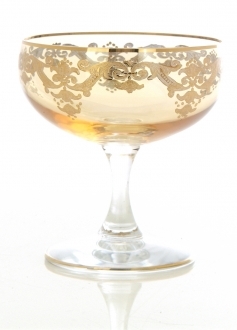 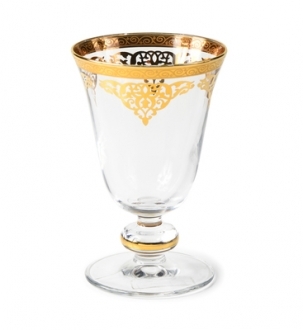 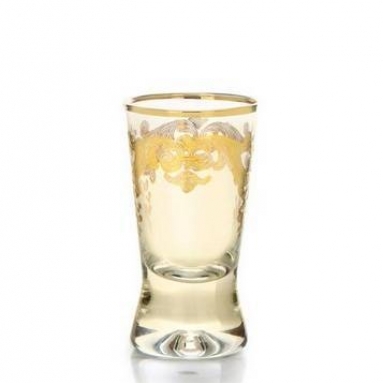 The tapered shape of each glasses and goblets fit easily into the hand and preserve the temperature and or carbonation of the drink.Crafted in Europe by master glassmakers with the highest quality materials and 24K Gold, these goblets will surely keep you satisfied with its quality for many years to come. 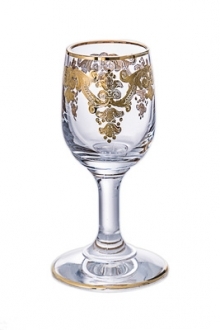 Plus, they’ll stand up as sign of high status in restaurants, and banquet facilities.A great gift for someone or for yourself. 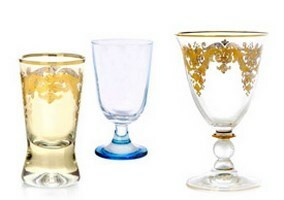 H: 5.5" W: 3.5" L: 3.5"
H: 3.30" W: 4.00" L: 4.00"